Researchers have uncovered a link between breast cancer treatment and type 2 diabetes. According to a study conducted by The University of Toronto, it has been discovered that therapy with the drug Tamoxifen has been linked to a significant increase in the development of diabetes in older survivors of breast cancer. Tamoxifen, an oral medication used in women with breast cancer, is one of the most widely prescribed drugs to prevent a recurrence in women who have been treated for the condition. Tamoxifen disrupts the female body’s production of estrogen, which is known to promote breast cancer in women. 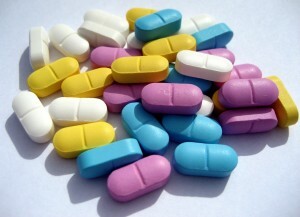 Research now suggests that the drug may contribute to an increased risk of developing type 2 diabetes. Researchers state that no one taking Tamoxifen should discontinue their use of the medication, but they and their doctors should be aware of the association. For the study, the researchers examined the medical records of 14,360 women over the age of 65 who had been diagnosed with early-stage breast cancer, and had survived. The results, which were published in the journal “Cancer”, showed that Tamoxifen patients are 25 percent more likely to develop type 2 diabetes. Tamoxifen therapy is known to be associated with several serious side effects, including strokes, blood clots, uterine cancer, and cataracts. It is also thought to cause symptoms similar to menopause such as hot flashes, irregular menstrual periods, headaches, nausea, and fatigue. Though Tamoxifen therapy does cause blood clots or stroke in a small number of women, the chances of developing such complications are similar to those associated with estrogen replacement therapy. Tamoxifen unquestionably has it upsides. Tamoxifen therapy improves bone health, by inhibiting osteoclasts and preventing osteoporosis. The question for Tamoxifen users is simple. They have enough health problems as it is. So they want to understand the risk of Tamoxifen and the extent of that risk. With this information, patients and their doctors can choose what medication is best for them.